The purpose of the study is to examine the effects of emotional states on higher-order need attainment in the computer-mediated environment. A survey data were collected from 404 adult visitors within the Second Life of virtual worlds. The findings suggest that the emotional states exert significant effects on attainment of higher-order needs (i.e. belongingness, esteem and self-actualization); the flow emotional state exerts a greater effect on attaining higher-order needs than the remaining emotional states of anxiety, confusion and apathy. Companies with presence in the Second Life of virtual worlds will be able to make more informed decisions when directing their efforts to enhance visitors’ emotional experiences in their virtual islands. Due to technological advancements, computer-mediated environments receive increasing attention from practitioners and academics alike. For marketing practitioners, creating opportunities for active interactions with consumers to enhance their experiences in computer-mediated environments has become a necessity. To offer guidelines for practitioners, academics are encouraged to better understand how to enrich consumer experiences in such environments. Emotional states can be a feasible factor contributing to enhanced consumer experiences in such an environment, as previous evidence in marketing suggests the importance of emotional states in creating such experiences when linked with psychological processes (Mathwich & Rigdon, 2004; Novak et al., 2000). The attainment of needs can be considered as a vital psychological process, contributing to increased psychological lives (Park & Peterson, 2009). Our study aims to establish such a relationship by examining the influence of emotional states on higher-order needs (i.e. belongingness, esteem, and self-actualization) in computer-mediated environment. We apply Flow concept (Csikszentmihalyi, 1990) to explain how emotional experiences can be enhanced in virtual worlds. Virtual worlds are defined as three-dimensional computer-mediated environments that are rendered similar to the real world. Virtual worlds (such as Second Life) have attracted millions of consumers in recent years as well as major brands, such as Toyota, Reuters, Sony BMG, Dell, Nokia, and IBM, but little scholarly research to date. Virtual worlds “provide the tools and environment for doing almost anything…the user or consumer chooses their own path, including social networking, collaboration, and communication, developing digital content, buying and selling digital products, education and training, and entertainment” (Barnes & Mattson, 2011, pp.2). At the individual level, which is the focus of this study, virtual worlds can be construed as hedonistic systems, where consumers experience pleasure and arousal, when engaged in these computer-mediated environments (Barnes & Pressey, 2008). 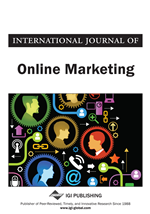 The aim of this study emerges in response to calls voiced in the literature to further a. scrutinize the impact of different emotions on psychological processes (Griskevicius et al., 2010); b. and to examine established marketing tenets concerning consumer behavior based on ‘real-world’ actions that may have to be reconsidered within the novel context of virtual worlds (Hemp, 2006). By responding to these calls, this study makes both theoretical and empirical contributions. Theoretically, by applying Flow concept and scrutinizing the relationship between emotional states and higher-order needs, the study contributes to extending our knowledge of consumer emotional experiences. Methodologically, this study utilizes the novel data collection method of avatar survey bots (ASBs) (Barnes & Mattson, 2011) with adult respondents in a virtual world context. Our study provides practical implications for virtual relationship building that companies operating within this environment, or planning to enter it, can follow when creating more exciting and stimulating emotional experiences for their visitors. We begin the paper by defining the concepts of pleasure and arousal and explain how they are employed to capture emotional states. We then present the concept of needs. Subsequently, we hypothesize the impact that emotional states may have on higher-order needs. Finally, we present the findings, implications for practice and future research directions.